Wessling (Germany), 30 May 2017 - The new 2017.2 Version of the hyperMILL® CAM suite now provides a number of improved machining strategies, such as 3D-optimised roughing and programming aids such as T-slot feature detection. 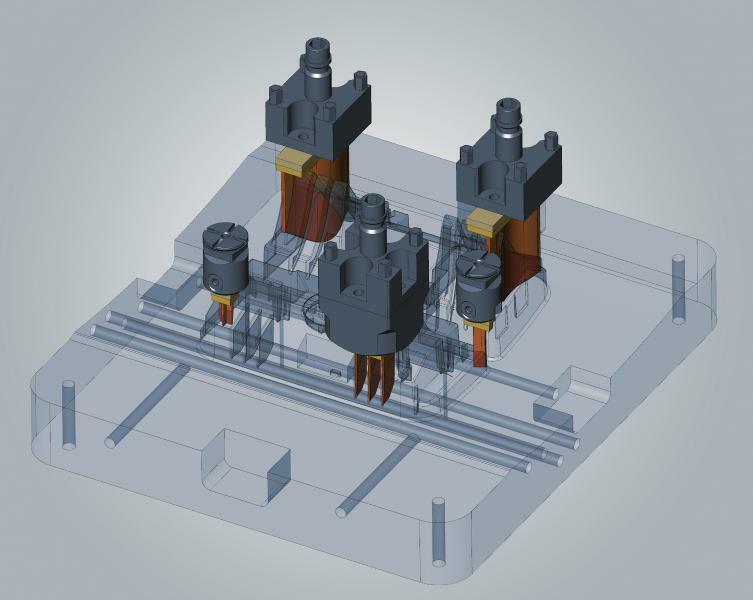 In addition, the CAD software hyperCAD®-S has been given a new module for the production of electrodes for die-sinking. Highlights of hyperMILL® 2017.2 include a new feature for the fast detection and programming of T-slots. With just a few clicks, T-slots can be produced extremely efficiently. This facility has two types of feature recognition: 'T-slots' and 'Pockets with bottom and T-slots'. 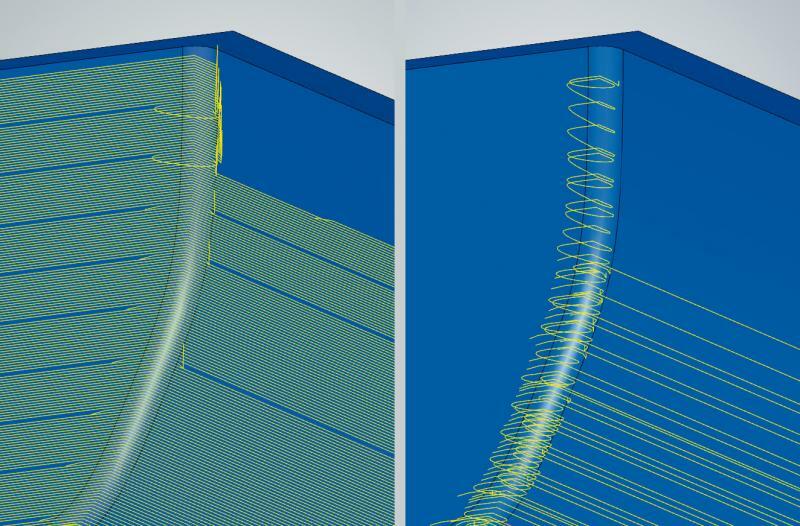 The 3D machining method 'rest material roughing' is a particularly prominent feature in the new version with a further optimised infeed strategy. The option 'Use infeed optimisation' calculates the optimal infeed value ​​in connection with the ​​'Additional chip thickness and depth’ values. 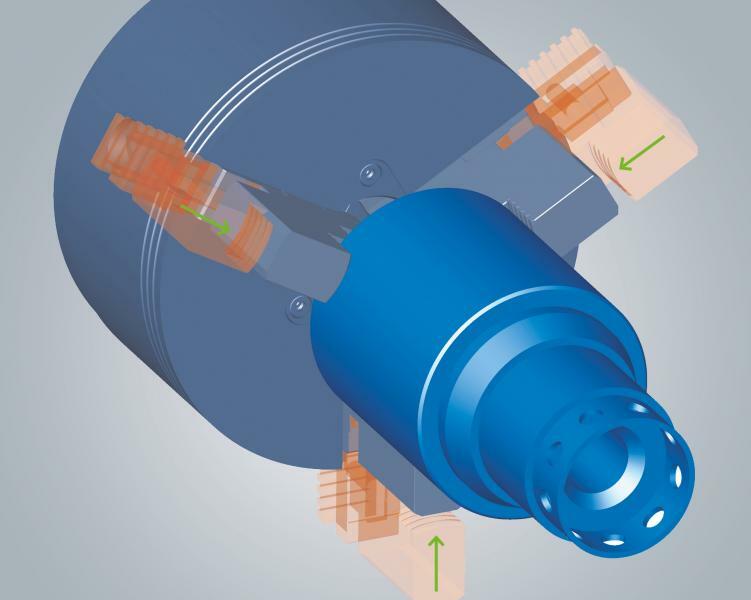 This allows the user to adjust the machining parameters to the condition of the tool. The key advantage is that tools with long cutting lengths can be optimally utilised and precisely controlled by using the 'Maximum infeed' parameter. As CAD software that has been specially developed for the needs of the CAM programmer, hyperCAD®-S is available to hyperMILL® users. The outstanding innovation in version 2017.2 is the hyperCAD®-S Electrode module. This new module enables the fast construction of electrodes. An automated and comfortable process ensures the easy derivation of the electrodes from the face of the component geometry that should be eroded. This process is highly supported that programmers can carry out with just a few clicks and without any special construction knowledge. Once the programmer has selected the faces on the workpiece, hyperCAD®-S creates corresponding collision-free electrodes with the necessary extension of the electrode faces and the derivation of raw material as well as the holder. The seamless transfer in hyperMILL® is based on geometry and technological data. The CAM system supports the user with its own dialog window and feature type during the electrode programming. All of the important technology data is transferred directly from the hyperCAD®-S electrode module into the feature information. This simplifies programming and avoids errors. Further innovations in hyperCAD®-S are the user driven chain selection and the positioning of components with the help of relationships. For example, elements such as clamping jaws can be moved linearly or radially towards a central point between each other. The command ‘Display statistics' has now been added to the hyperMILL® SHOP Viewer. This visualisation solution for the workshop allows the users to view CAM and CAD data and to simulate data relevant to the production directly next to the machine. As a result, important information such as machining times or the number of tool changes can be seen by the users in the workshop.